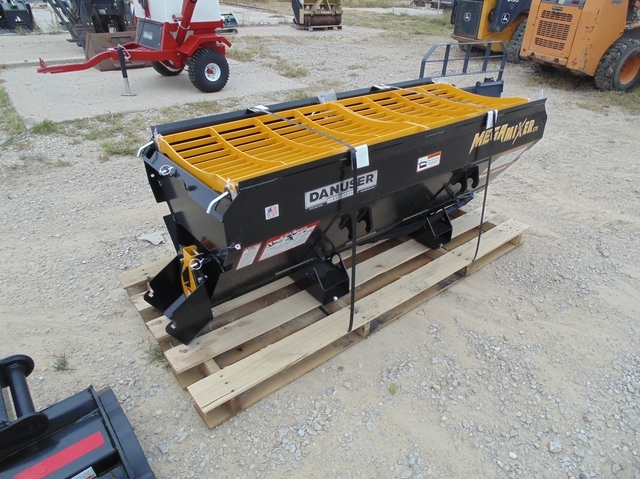 Eliminate backbreaking labor with the Danuser Mega Mixer! 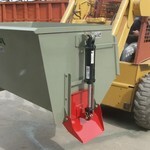 From concrete to livestock feed, scoop, mix, and dispense a wide variety of materials with ease. 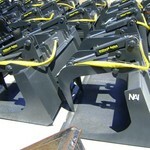 With adjustable mounting brackets and pallet fork tine slots on both sides, conveniently dispense left or right. Built-in cutting edges and a robust design make it well-suited for scooping from piles. Comes standard with dual safety grates, including integrated bag busters, that can be opened individually from either side. 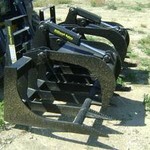 Choose from two models: the rubber-flighted auger (R75) or the all-steel auger (S75). See chart above for complete list of material applications. 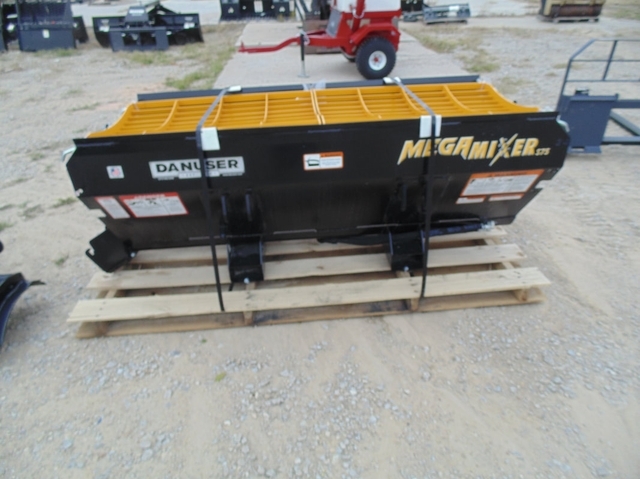 Each Mega Mixer includes two 2' multi-link chutes that store conveniently on the bucket. Additional chutes are available with chain mounting holes for stronger support. 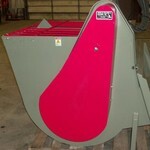 A lockable discharge flap limits spilling and allows for faster material mixing. 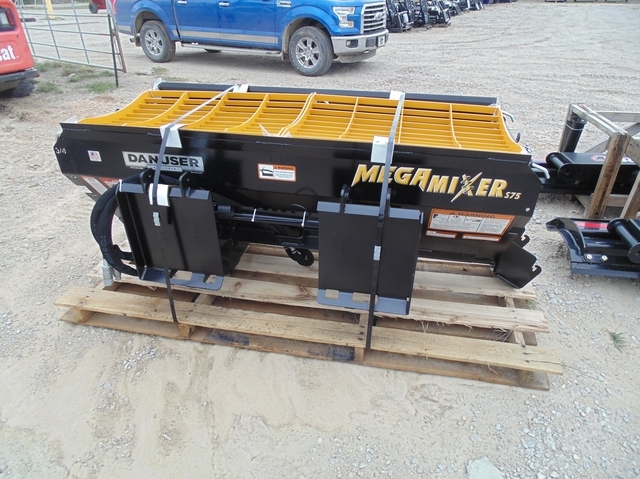 With features like chute storage, pin holders, easy-to-read yardage markers, a robust 8" diameter auger coupled directly to a heavy-duty, low-speed, high-torque motor capable of dispensing 3/4 yard of material in 35 seconds (up to 2" diameter gravel), the Mega Mixer will save time on the farm or jobsite. Unit ships complete, including hoses and flat face ISO couplers.